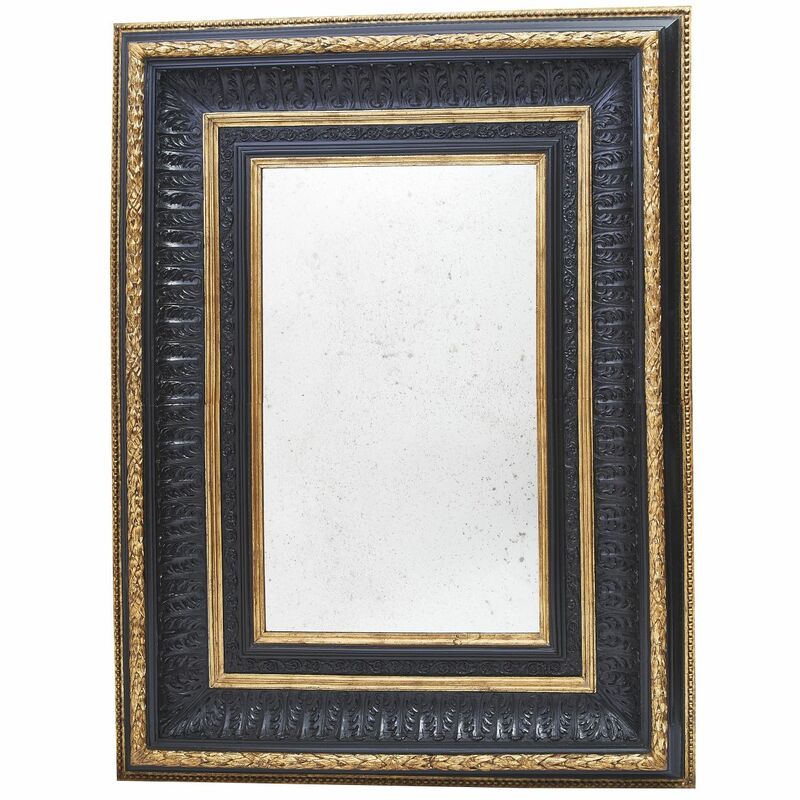 Large French Restauration giltwood mirror with an embroidered edge, circa 1820. 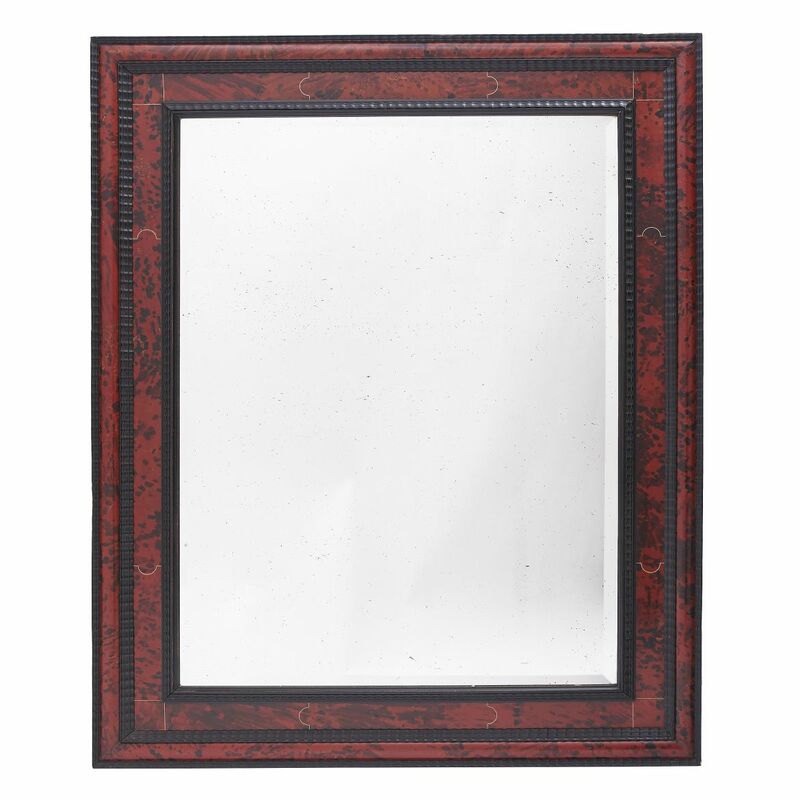 The inner frame with repeated eagle motifs above crossed cornucopias, interspersed with palmette ornaments. 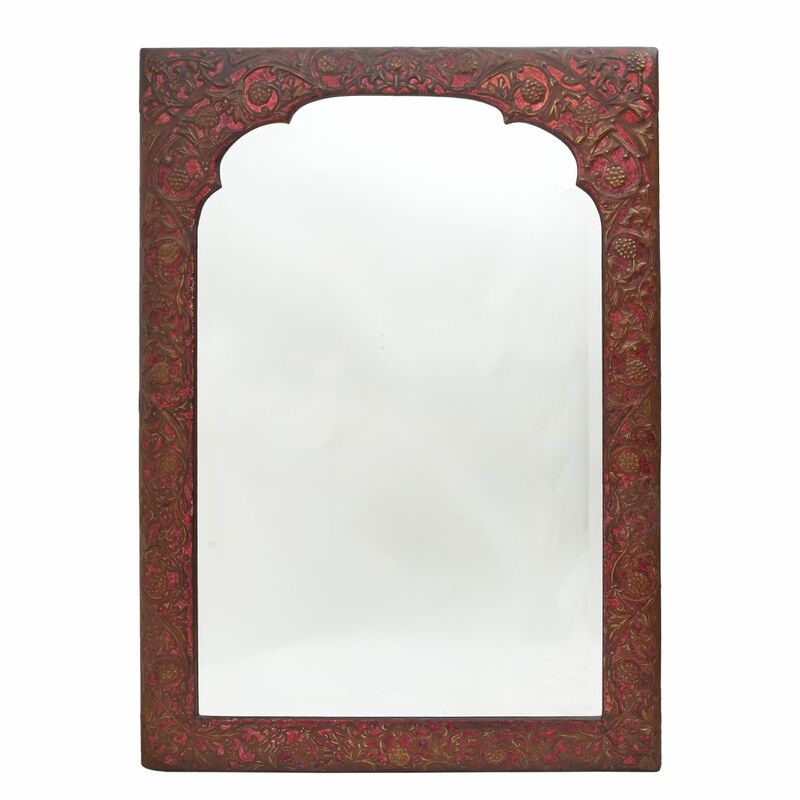 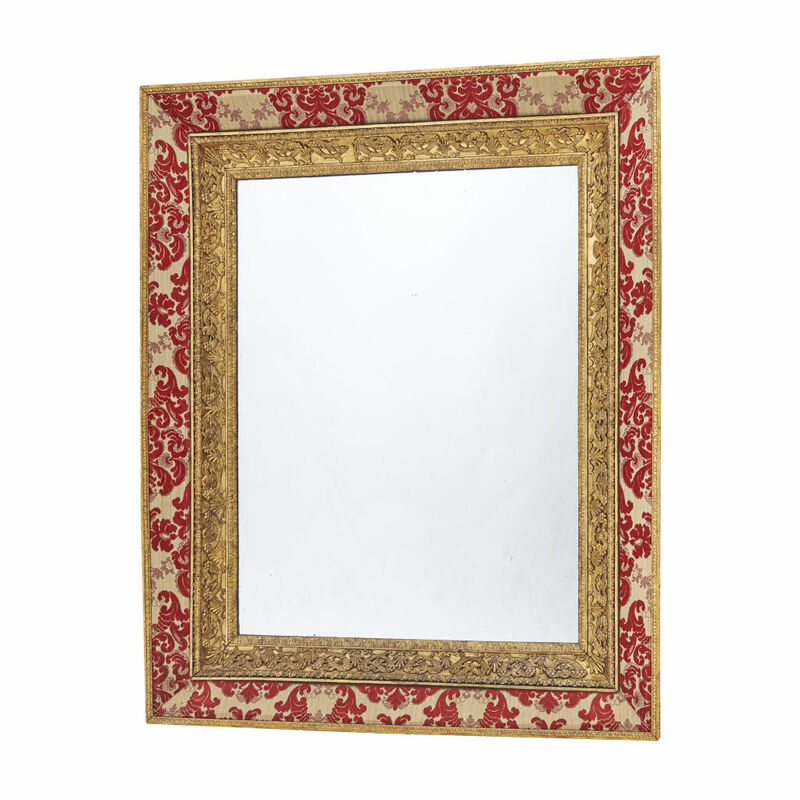 The outer frame in a rich red velvet, with foliate decoration on a cream background, with a carved giltwood border.